The secret to a young and refreshed complexion starts with your eyes. 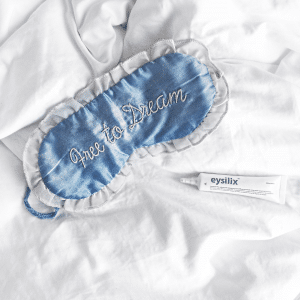 Eye cream is a beauty essential that tends to be overlooked in daily skin care routines. What a lot of people seem to misunderstand is that the skin under our eyes differs from the rest of the body. It’s naturally thinner, more sensitive and prone to dryness. Those of us with allergies understand the annoyance of excessively applying concealer to cover up those dark, puffy eyes. Or maybe you have trouble sleeping or had one too many glasses of rosé leaving you with dark circles and under-eye puffiness. When your skin is dry, it can allow for fine lines and wrinkles to appear more pronounced. Take care of the delicate skin around your eye by using an eye cream that hydrates, plumps and rejuvenates your skin. Indeed’s eysilix is super hydrating and loaded with peptides…lots and lots of peptides, 10 to be exact, each formulated with its own unique under eye restoring solution. Why peptides? Well, because they’re small enough to penetrate through the top layer of your skin, creating long term results. They have the ability to decrease puffiness, fine lines and wrinkles, presenting a more bright and supple under eye, and restoring collagen production and healthy tissue growth. We’ve also included glycerin, shea butter, and ginseng to act as soothers, fighting off skin sensitivity and irritation, while restoring dry, flaky skin. 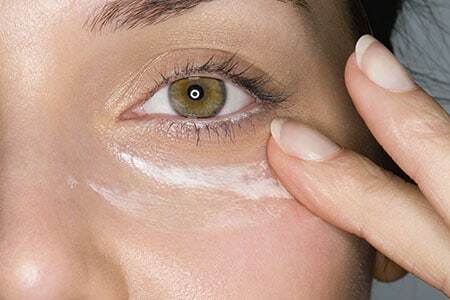 Apply an eye cream by starting at the inner corner of the under eye area, underneath your tear duct, and gently dab the product onto your skin using your ring finger. Slowly move your way around to the outside and up to the lid. Repeat morning and night for best results.